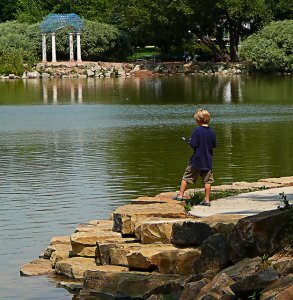 The beautiful community of Fort Collins, Colorado is known for many things: Colorado State University, beer, the great outdoors in close proximity, and much more. There’s no shortage of opportunity in this town, and people from all over have started to catch on. If you’ve lived here for a bit, you know our growth is contagious, and now is the time to consider buying a Fort Collins investment property. Cost of Repair: No matter what type of property you’re buying, you should always take the cost of repairs and renovations into account before you buy – but especially if you’re thinking of purchasing a Fort Collins investment property. Many of the best investment properties and rental homes are cost-effective because they’re in need of repair. While it keeps the cost of the home down, repairs can quickly eat into your bottom line. Before you sign on the dotted line, it’s important to have a full home inspection done to see what kinds of repairs need to be done. It is also wise to have a contractor come by to give you an estimation of what it will cost to improve the home. As you decide whether or not to purchase the investment property, take the cost of repair into account. Location: Most rental properties in Fort Collins fetch a pretty penny, but, that being said, some neighborhoods are more popular than others and can bring in more income than others. As you look for Fort Collins investment properties, consider the location of the home and what other rentals in the neighborhood are fetching before deciding which is best for you. Take into consideration the quality of the neighborhood, any HOA fees and restrictions, and what big employers or attractions are nearby. Potential Renters: Depending on the type of renter you’re hoping to attract, you’ll need consider the layout of the home, the location, and the amenities the home offers. If you’d rather have a family in the home, buy a place that accommodates their kids. If you’d rather have a steady stream of college students, purchase something near Colorado State University. If you’re looking for less maintenance, maybe a condo is the best investment property strategy for you. Determining this factor up front will save you some headaches down the road. U Plus 2 Law: In case you haven’t heard, Fort Collins has a pretty strict U plus 2 law that restricts the number of people who live in one house, duplex, or condo to the following: “Occupancy in a residential dwelling is restricted to one family and not more than one additional person; OR one adult and their dependents (if any), a second adult and their dependents (if any), and not more than one additional person.” Landlords and tenants can be held accountable for this law, and it should definitely be taken into consideration as you determine which investment property is right for you. Click here to learn more about the U plus 2 law. School District and Zone: If you are wanting to attract families to live in your Fort Collins investment property, it’s best to consider the school district and zone. While all Fort Collins school are above average, some fare better than others and are more desirable for some families. Furthermore, some school districts and zones increase the resale value of the home, so it’s important to note these factors when determining which home to invest in. Potential Return: And finally, as you make any sound investment, you should consider the potential return on the home in the years to come. Consider what the mortgage payment will be and how much you will be collecting each month in rent. Consider what you could sell the home for down the road and what your return will be. When done right, buying a Fort Collins investment property is a great financial move. Ready to learn more about putting your hard-earned money into a Fort Collins investment property? Real estate investing can be hard to break into, and it’s hard to choose which property will have the best return, but NOCO Invest is here to help! Over the years, we’ve refined our processes, marketing, and relationships to let us find the best real estate deals before they ever hit the MLS market. We’ll help you take advantage of these real estate investing opportunities and maximize your return. Our business is strictly wholesaling the properties we find to investors like you to utilize as a Fort Collins investment property. Contact us today to learn more about how NOCO Invest can help you capitalize on the strong Fort Collins rental market!